A deck handrail is a basic safety feature that can improve both the appearance and the usability of your outdoor deck. Deck handrails are typically constructed of wood and consist of a post and rail system, with decorative balusters to fill the open space between posts. Handrails can be constructed in any number of styles, but a basic handrail can be installed by the average do-it-yourselfer. If your deck is without a handrail, you will require only some basic tools and a good, clear plan to get the job done. Deck railing is an important home safety feature. Check the local building ordinances and regulations for guidelines as to the required height and materials for your deck handrail. Inspect your deck, and determine the number of rail posts and the proper placement before beginning the job. Rail posts should be set at each corner and should be no more than six feet apart at the center line. Factor in stairways and openings where rail will not be needed. Use your table saw to cut your 4-by-4 foot wooden posts to a length of 48 inches. Each store-bought post length should therefore be used for two full posts. Place your first post at one corner of the deck. Use your deck screws and screw gun to temporarily fasten the post in position so that the bottom of the post is flush with the bottom of the deck rim. Use your post level to check that the post is perfectly straight, and adjust as needed. Use your drill to make two holes through the post and deck rim behind it. Stagger the holes so that they are not directly next to one another as this would weaken the joint. Insert your half-inch through bolts, with one washer on each side, and fasten in place using your wrench and ratchet set. Repeat the process around the entire outer rim of the deck wherever you wish to install your railing. Use your tape measure to record the distance between the bottoms of two of the posts you installed. Use your table saw to cut a 2-by-6-inch board to fit the gap. 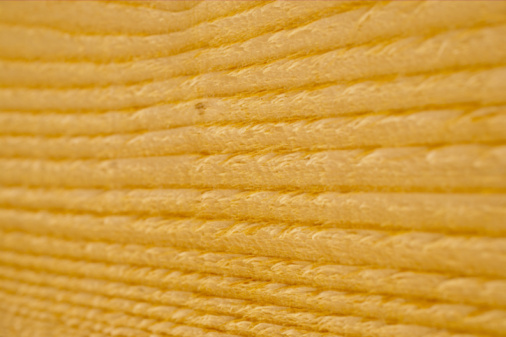 Use your tape measure and pencil to mark your post 34 1/2 inches up from the surface of the deck. Use your hammer to insert the board into place so that its top edge touches your mark and its inner edge is flush with the inside edge of the post. Use your screw gun and decks screws to toenail the board securely in place. Screw one screw at a downward angle from the top of the board, and screw one at an upward angle from the bottom of the board on each end. Use your table saw to cut a 2-by-4-inch stud to the same length as your 2-by-6-inch board. Place the stud atop the board you have just mounted, and fasten it to the board using your screw gun and deck screws, one every 16 inches. Use your tape measure to record the distance between the bottom edge of your 2-by-4-inch stud and the bottom edge of the deck rim. Use your table saw to cut all of your spindles to this length. Use your drill and countersink drill bit to make one hole on the side of each spindle about one inch from the top and one inch from the bottom. Make a second hole about three inches below the first at the top and about three inches above the first at the bottom. Use your tape measure to find the center point of the 2-by-6-inch board. Use your pencil to mark this location, and then mark the board every five inches on both sides of the center point until you reach the posts at each end. If there is less than 2 1/2 inches between your post and the mark closest to it, reset your marks 2 1/2 inches closer to center. This will create a more pleasing visual effect. Place one spindle on each of your marks at the center point. 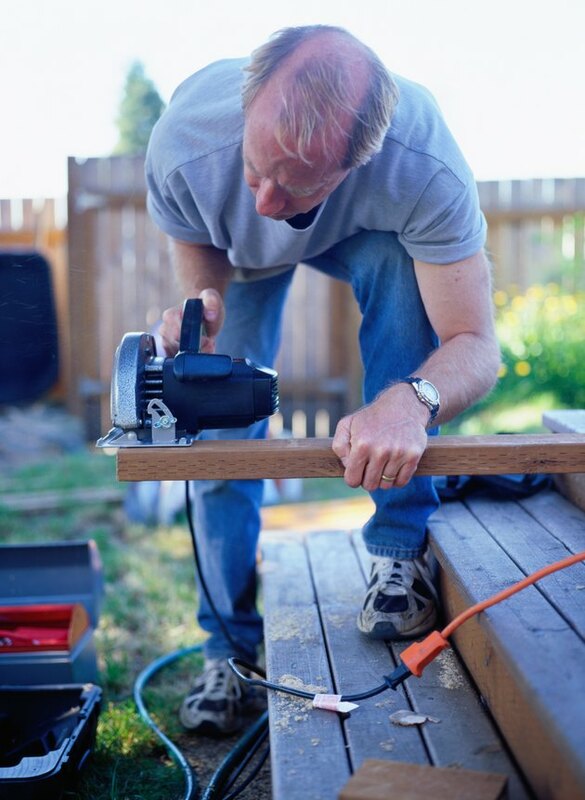 Install one deck screw in the uppermost hole using your screw gun. Use your post level to check that the spindle is straight. Fasten the spindle in position using your screw gun and deck screws. Complete the same process with all spindles.